Born: August 11, 1847 in Sandwich Ma. Died: October 24, 1921 in Bourne Ma. at 74 yrs, 2 mos, 13 d.
Where Lived: Corner of County Rd. & Barlows Landing Rd. in Pocasset Ma. 1. Frederick Alton Wright; (October 31, 1871 – December 2, 1906); Married (1) Edith Evelyn Jones (1873 – 1900) (Stephen M. Jones & Adeline A. Hoxie) in North Falmouth Ma. on August 20, 1899 & married (2) Emma J. Dunphy (1880 – 1964) (James Dunphy & Catherine M. Sullivan) in Bourne Ma. on November 15, 1904; Emma married (2) Edmund Buxton Robinson, Jr. (1864 – 1955) (Edmund Buxton Robinson, Civil War & Mary Dunning) in Bourne Ma. on February 25, 1911; Frederick is buried in Pocasset Cemetery with his sister Edith Eleanora Wright, Emma & Edmund, Jr. are buried in Cataumet Cemetery. 2. Edgar O. Wright; (October 13, 1873 – March 2, 1874); Edgar O. is buried in Pocasset Cemetery (“infant sons”). 3. Edith Eleanora Wright; (December 9, 1874 – April 12, 1962); Edith was a Telegraph Operator, unmarried, & lived in Woods Hole Ma. 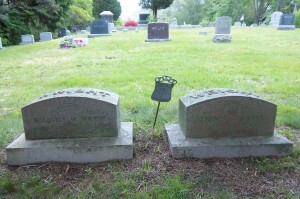 with her sister Josephine; She is buried in Pocasset Cemetery with her brother Frederick. 4. 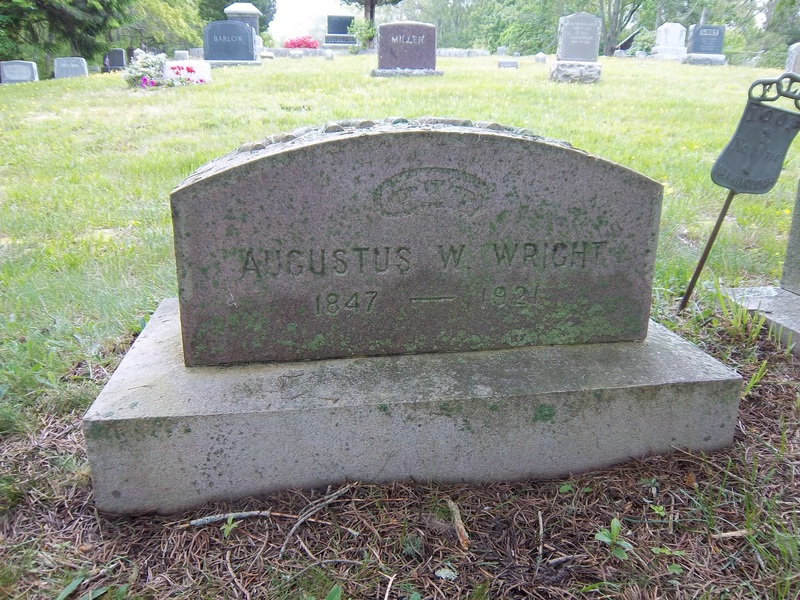 Andrew Wright; (December 9, 1879 – December 12, 1879); Andrew is buried in Pocasset Cemetery (“infant sons”). 5. Josephine Cushman Wright Lawrence; (December 11, 1880 – February 15, 1962); Married Sidney Warren Lawrence (1879 – 1965) (Solomon Hamlin Lawrence & Mary A. Childs) on November 22, 1904; They had 3 children & lived in Woods Hole Ma..
6. Josey Wright; No further information.